Salt Lake City's Avenues and Sugar House neighborhoods feature some of Utah's oldest homes, the vast majority of which still showcase their original design details. 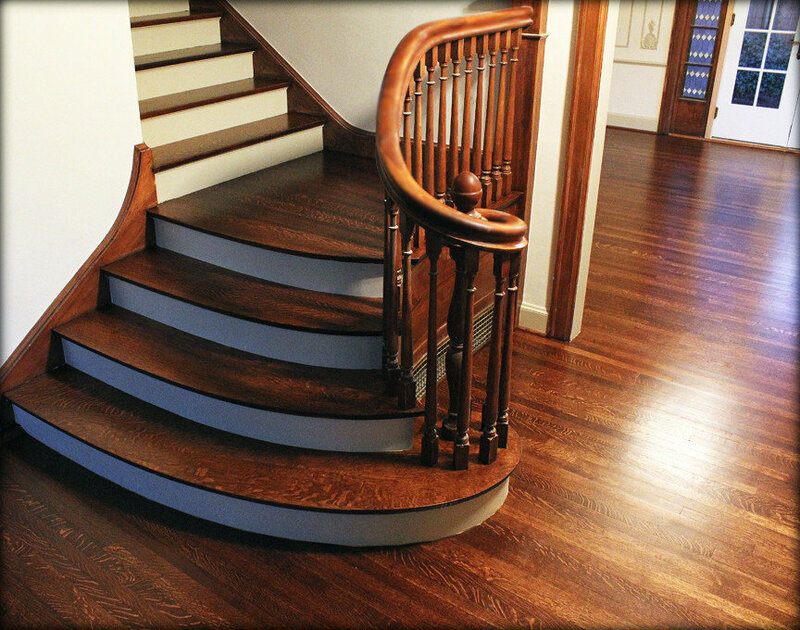 In nearly all of these homes, the original flooring was 2" wide, rift and quartersawn oak. 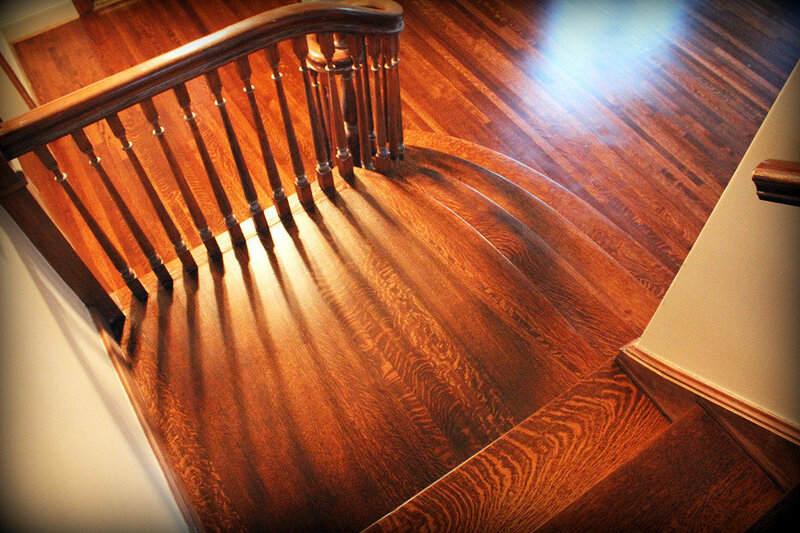 This method of milling oak is less commonly used in flooring today, as it demands a higher price tag over its traditionally cathedral-grained counterpart. In addition to being harder than plain-sawn oak, the rift and quartered cut is the only way to see the amazing figuring (sometimes called "flecking") that can occur within oak lumber. 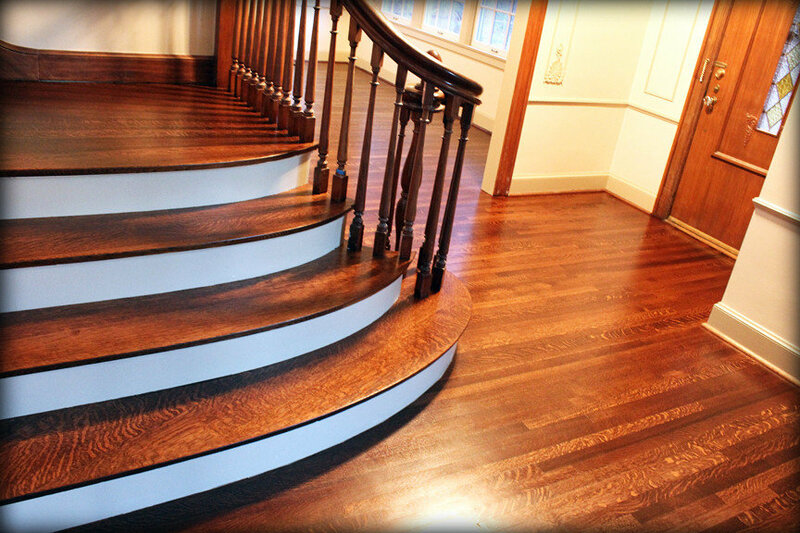 As you can see in these images, old-growth oak features an astounding amount and depth of figuring, lending an immediate air of fine craftsmanship, exclusivity and dignity to the flooring industry's most commonly used species of hardwood. Photos by Mike Price. 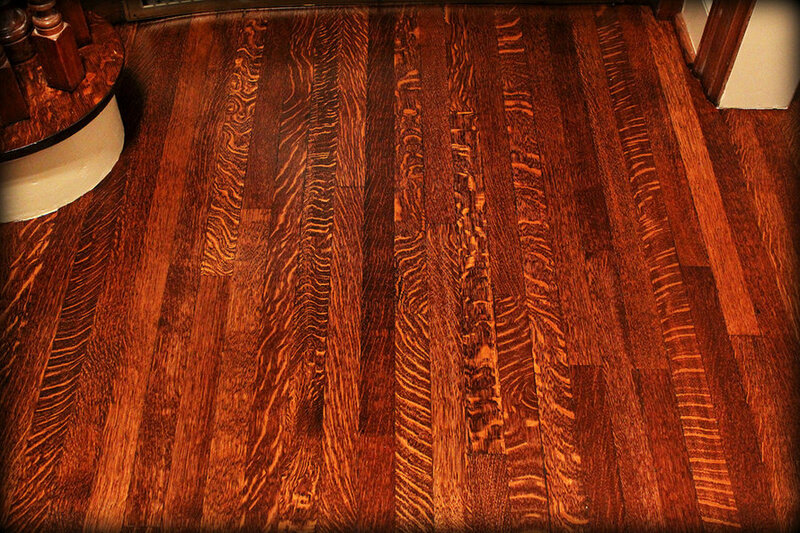 Most species of wood used in hardwood flooring have some special feature that is only visible when the lumber is radially cut, a milling process more commonly known as "quarter-sawn." Every species will showcase tight, vertical grain. Maple figuring can result in "flaming" or a "tiger-stripe" pattern perpendicular to the grain structure; walnut will normalize in color almost completely and present burling and flame. Quarter-sawn oak boasts organic, cross-grain patterns of figuring and flecking that have remarkable depth. The vertical grain structure is still clearly visible, but this historic, old-growth oak houses an explosion of fleck.